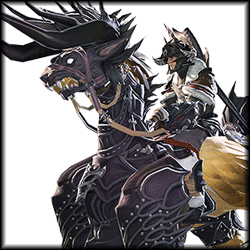 FFXIV Chocobo Breeding & Racing: Whip it good! How to breed the ultimate Chocobo – Rip up the racetrack and read the many many FAQS of breeding and racing! Feed, Pedigree, RNG and MORE! But for the 1M MGP question: “How do I start/unlock Chocobo Racing! ?” Gold Saucer, WEST of ENTRANCE DESK there is an elevator lift, here’s where you start the quest for Chocobo Races. Remember to activate the aetheryte here so you can aethernet goin’ up here. You are what you eat. Not surprisingly, this applies to Chocobos as well. Each time your chocobo levels up, you get ONE TRAINING SESSION. This basically means you can give him 1 piece of food. Grade 1 food gives 1 of the chosen stat, Grade 2 food gives 2 of the chosen stats, Grade 3 food gives three of the chosen stats. Note that stat CAPS increase as the grade of your chocobo increases. Hopefully you can make sense of this table. Though the importance of feed will SEEMINGLY be alot less as our chocobos rank up, time will tell. All I know is, the better feed you use, the easier it is to level up early on. Why? Because your chocobo will be a chunky % stronger than any chocobo fed on lower tier food – making winning races easier. It’s important to note that FEED DOESNT IMPROVE STAR RATING (I guess you can say the stars are genetics). Where do I farm Gregarious Worms / Mazlaya Greens? These appear in the unspoiled nodes of Gold Ore and Black Truffle respectively. They can only be gathered ONCE though. How can I easily get these feeds? Grade 1 can be bought with gil (don’t bother crafting this). Grade 2 can be bought with MGP or crafted, Grade 3 can be bought with MGP only. I prefer to craft Grade 2’s, because MGP is a bit harder to come by. Remember, if you’re attempting to breed these on your own, crossbreeding happens when you plant the seed. I guess the guys over at (ffxivgardening/planner) are a better source for this. Minimum Breeding Rank is 40. Once you “cover” (aka resign) your chocobo, you will now get something like a breeding permit. This breeding permit records the stats of the chocobo you retired. There are, however, some curious caveats. Once you cover a choco – you can use it to breed a max of 10 times. AS I WAS WRITING THIS, I HAD TO DELETE A CHUNKY AMOUNT OF TEXT – There is still to many unknown factors, but I’ll continue to my conclusions in a bit. Check these out for other breeding info – here’s my take. The ultimate Chocobo is a grade 9 4 star in each of the 5 stats: While that may be obvious, we need to understand “how” we’re going to get there. And trust me, the HOW part is the bummer. Stap cap calculation: Is a bit weird. I’ve seen some examples.. but I think I need to see more grade 3 and 4 chocobos. But in a nutshell – better star rating, higher stat cap. This formula I found, by /u/fawksb seems to hold up so far: (40x((Pedigree-1)+Star Rating))+20. So this would mean the ultra chocobo has 500 max in all stats, which is 2500 total stats. When does my chocobo learn a skill? At level 10, your choco learns a random skill. Using MGP, you can unlearn a skill your chocobo got. If you unlearn, you get a new random skill the next time you rank up. 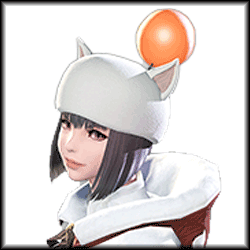 Author FFXIV GuildPosted on March 1, 2015 April 13, 2018 Categories UncategorizedTags Chocobo Racing5 Comments on FFXIV Chocobo Breeding & Racing: Whip it good! Entry into PvP matches can be started through a quest from your Grand Company NPC. The Wolves Den itself can be accessed through a ferry found in Moraby Drydocks. After you get to Wolves Den and enable it on your duty finder, all you have to do is queue up! At patch 2.1, there are only 4v4 matches available on one map. Each match has a 2 minute prep time at the start and the entire match lasts for 30 minutes or until one team is wiped out. Participating in PvP matches give you PvP experience and Wolves marks. If you earn enough PvP experience you will level up your PvP rank and gain one action point which you can spend on skills or traits specific to PvP. These skills and traits can only be used during PvP matches. You must slot these skills like how you would slot a cross class skill. It takes 3 Action Points to get one PvP skill and 1 Action Point for a PvP trait. Most of the PvP skills and traits have 3 levels each and increasing a skill or traits rank increases different things, debuff durations, potency increase or cooldown reductions. Wolf Marks is the currency of PvP. For every PvP match you participate in (win, lose or draw) you gain a certain number of Wolf Marks. You use these marks to purchase PvP gear and PvP materia. The PvP gear itself has a new stat called Morale. This stat replaces your Magic and Physical defense against human players and also increases your damage dealt to them. 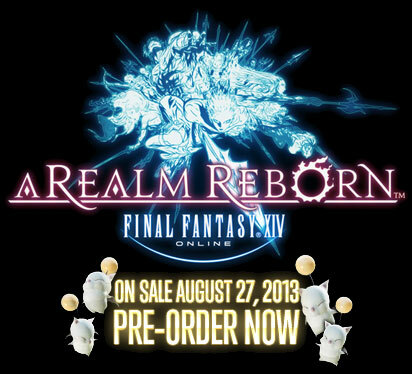 FFXIV A Realm Reborn will be out in the market on August 27, 2013! Adventurers will be able to ride a variety of mounts for transportation in A Realm Reborn – including chocobos, Magitek armor and more! 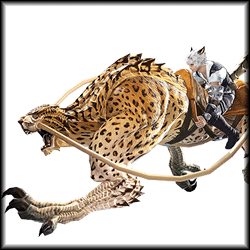 With this bonus, you’ll be able to hop aboard a coeurl and chase down your foes! In A Realm Reborn, adventurers will be able to do battle against the ferocious enemies of Eorzea alongside their personal chocobo, as well as equip their trusted companions with unique armor! The Collector’s Edition includes special Behemoth-themed armor that you can outfit your chocobo with! Adventurers can often be found with their own personal minion by their side as they tame the wilds of Eorzea. The Collector’s Edition comes with a baby behemoth minion. 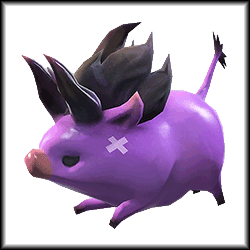 * Minions are vanity pets that do not have any affect on a player’s stats. For PC: Items can be redeemed by entering the registration code that comes with the PC game purchase on the Square Enix account management site. For PS3: Items can be redeemed by entering the promotional code that comes with the PS3 game purchase on the Sony Entertainment Network account. If you pre-order FFXIV: A Realm Reborn from a participating retailer and register the pre-order code within the specificied time period, you will be granted access to play FINAL FANTASY XIV: A Realm Reborn prior to the official launch! *Details will be announced at a later date with early access commencing prior to launch. *An internet connection is required for early access. 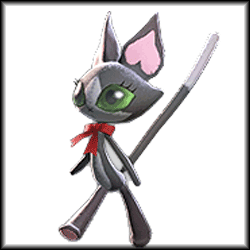 The bonus in-game items (a “Cait Sith Doll Minion” and “Mog Cap”) will be delivered to the account that the pre-order bonus code has been registered to. * The pre-order bonus code will be valid until December 31, 2013. * Further details will be announced at a later date. Please note that the pre-order bonus codes are different for the Playstation 3 and Windows versions. Also, please be aware that the number of early access codes will be limited and distribution will cease when the limit has been reached. * The pre-order bonus code distribution timing and method may vary depending on the retailer. Square Enix Releases Free Mobile Wallpapers! 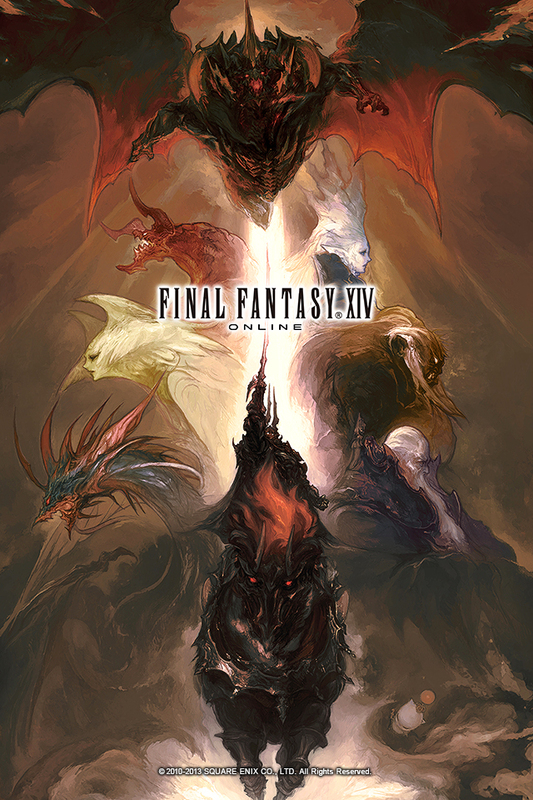 Today Square Enix put up a number of free to download wallpapers for your smartphones, as well as cool new Twitter icons. Check it out! 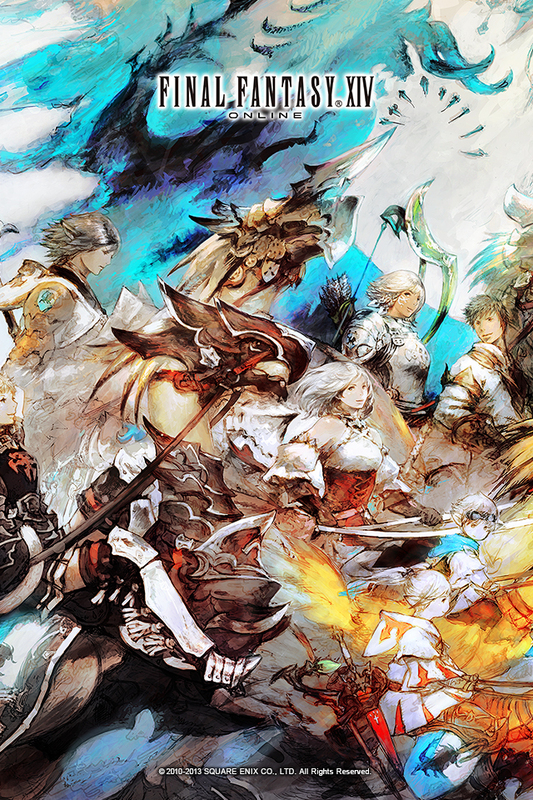 Today, Square Enix gave out a bunch of free FFXIV A Realm Reborn mobile wallpapers. Here are some samples! They also gave out some pretty cool Twitter icons! Make sure to check them out here. Take a piece of Eorzea wherever you go! They also announced that they will be adding more and more wallpapers, icons, and whatever digital media for all of us to use. Make sure so Subscribe to us, and be the first to know! 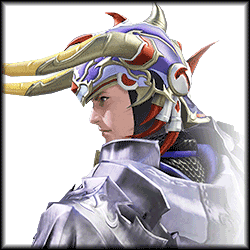 Author Mahiko SanPosted on June 18, 2013 June 18, 2013 Categories News, Uncategorized1 Comment on Square Enix Releases Free Mobile Wallpapers!